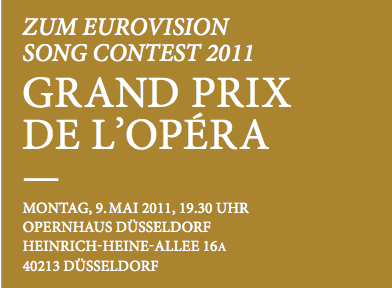 Possibly a world first, the German Opera on the Rhine presents Grand Prix de l'Opera on May 9 at 7.30pm as part of the city's programme for the Eurovision Song Contest 2011. 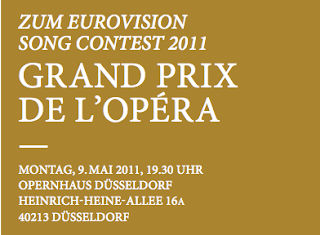 Vote for your favourite operatic piece here and maybe you will hear it on the evening of the semi-final of the ESC. As one of our strongest partners we have secured a limited group of seats in the centre block of the stalls and upper tiers. Please email us at opera@rhinebuzz.com if you would like to reserve, these tickets are going very fast!